Geninne is a passionately curious artist/crafter, living with her husband Manolo, two teenage sons and a cute border collie named Turbo. She has the cutest blog "Geninne's Art Blog" where she showcase her latest creations. 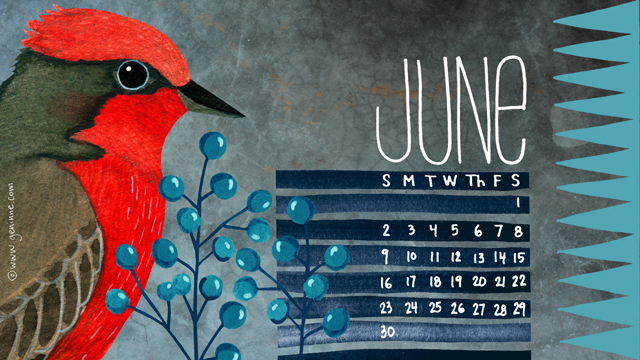 Every month she creates a new desktop wallpaper calendar for people to download for free. Every calendar has a different bird from her collection. Please visit her blog to download the calendars and don't forget to say thank you for sharing her work with the rest of us! !